To ask other readers questions about Oblivion, please sign up. I felt obliviated and terrified by the visceral imagery in this examination of the USSR’s murderous past. The allegory and the reality smacked me across the face and instilled that terror I feel when I think about why we are here on earth, God, the absence of God, the horror of humanity, my insignificance, outer space and looming death/immortality. Prose poetry, stumbling through fog and allusion and literal death. The penultimate scene is a doozy. Nightmares tonight for sure. In an article by Le I felt obliviated and terrified by the visceral imagery in this examination of the USSR’s murderous past. The allegory and the reality smacked me across the face and instilled that terror I feel when I think about why we are here on earth, God, the absence of God, the horror of humanity, my insignificance, outer space and looming death/immortality. Prose poetry, stumbling through fog and allusion and literal death. The penultimate scene is a doozy. Nightmares tonight for sure. In an article by Lebedev, he describes a real moment in his life when he figured out a very significant thing was not at all what he had assumed. This moment combined with his travels east and north compelled him to tell his idiosyncratic version of the gulag archipelago and post-Soviet Russia. I most certainly did not understand much of what he tried to convey. I’ve been to places in the former Soviet Union, talked to many people there and here, read a lot, studied Russian…. “Oblivion” can probably be truly felt and digested by someone who lived there and lived through at least the lies, if not the horror, of the great experiment of communist tyranny. One of my stock phrases pops up yet again: It’s really tough to maintain a healthy nation when the past is not dealt with. Japan seems to be pulling it off. Russia, not so much. The book depressed the hell out of me, but I felt I had to go there. Trump’s victory coincided with me finishing “Oblivion” so I’m extra sickened. OTOH, Trump is no Stalin. So I have that for solace as I try to get through the next 4 years. Trump is no Stalin. Happy face emoji. Though I have not/could not read it in the original Russian, I’m betting this is a first-rate translation. The translator, A. Bouis, has a real way with words. Residents accept the official account and dismiss the testimony of the only survivor. But subsequently the town sinks into ruin. Such is the story of Macondo, and of all world dictatorships, which leave a destructive, lasting, and demoralizing legacy. 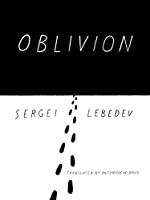 The loss of Russia’s national memory is the main theme in Sergei Lebedev’s insightful debut novel, "Oblivion." It belongs to a new generation literature examining the impact of Stalinism on Russia today. The novel is masterfully translated by Antonina W. Bouis, whose list comprises 80 titles––writings by famous Soviet and post-Soviet authors as diverse as Mikhail Bulgakov and the Nobel Prize Laureates Alexievich and Andrei Sakharov. Lebedev’s compressed metaphorical novel is the prose of a poet, and Bouis renders his original style effortlessly and artfully. Numerous lives were sacrificed to the socialist dogma. Soviet history was a series of falsifications, its ideals were stillborn, and the end of the Soviet era spelled out their demise. Soviet textbooks and insignia with Lenin’s profile were discarded; paper money, too toxic to be burned, was dumped in plastic bags in a northern mine. But Stalinism did not end there: the old guard resisted the change. "Oblivion" is a first person account, a meditation on the memory of millions, and on personal memory. The narrator recalls his family’s neighbor at their dacha, whom he had met in childhood and whom he named Grandfather II. The old man is hiding his past, so his story unwinds slowly, until it becomes apparent that Grandfather II was a warden in a Gulag camp where prisoners dug radioactive ore; he had “administered death through labor.” For this service the state rewarded him with a luxury apartment. Grandfather II is blind, and his secretiveness and blindness are suggestive of Russia’s suppression of facts about the past. Having outlasted his epoch, “dead inside,” the old man wants to continue living through the boy. The episode of Grandfather II saving the boy’s life by donating his “scrawny” blood is symbolic. The transfusion takes place in 1991, when the Soviet Union collapsed and the new era dawned. Grandfather II dies, and the boy, saved by his blood, grows “like a graft on old wood.” This is a fitting image for an embryonic Russian democracy, grafted on Stalinist stock. Russia’s failure to deal with its Stalinist legacy, to establish the truth by remembering the millions who died, has invited the past to return. I want to thank the publisher and the Goodreads Giveaway program for sending me this book in return for an honest review. I give this book 3.5 stars(rounded up to 4) out of 5. This was a book overwhelmed with imagery. Much of the book takes place in dream sequences or in the narrator's mind. The premise of the book is the narrator trying to find out more about the man he knew as "Grandfather II." This man was not his actual grandfather, but did watch over him as he grew up. "Grandfather II" dies I want to thank the publisher and the Goodreads Giveaway program for sending me this book in return for an honest review. I give this book 3.5 stars(rounded up to 4) out of 5. This was a book overwhelmed with imagery. Much of the book takes place in dream sequences or in the narrator's mind. The premise of the book is the narrator trying to find out more about the man he knew as "Grandfather II." This man was not his actual grandfather, but did watch over him as he grew up. "Grandfather II" dies and leaves the narrator his small house and everything in it. He finds some letters and decides to find the man who wrote the letters. His quest leads him into the remains of former Soviet gulags. Some examples of imagery: "He sought it in questions--he must have heard not only the words but also how they bumped into one another, head on or obliquely..."
"The objects stood there, huddled in bunches like sheep without a shepherd." I took a long time to read this book, starting it on Feb 16, reading it for 6 days, then putting it aside until March 19 and finishing it on March 23. "O szarym postkomunistycznym świecie nie pisze się w ten sposób. W ogóle rzadko pisze się tak o świecie. Tak liryczny sposób pisania charakteryzuje utwory skierowane do wewnątrz – tak, znów wspomnę Virginię Woolf – tymczasem Lebiediew używa go do rozliczenia się ze straszną spuścizną totalitarnego systemu. Pomaga mu (cóż to za małe słowo!) niezwykły talent do wychwytywania i opisywania detali. Dzięki udaje mu się opisać postsowiecką Syberię bez nadmiernej estetyzacji, ale i bez epatowania brzydo "O szarym postkomunistycznym świecie nie pisze się w ten sposób. W ogóle rzadko pisze się tak o świecie. Tak liryczny sposób pisania charakteryzuje utwory skierowane do wewnątrz – tak, znów wspomnę Virginię Woolf – tymczasem Lebiediew używa go do rozliczenia się ze straszną spuścizną totalitarnego systemu. Pomaga mu (cóż to za małe słowo!) niezwykły talent do wychwytywania i opisywania detali. Dzięki udaje mu się opisać postsowiecką Syberię bez nadmiernej estetyzacji, ale i bez epatowania brzydotą; w jedyny w swoim rodzaju, przefiltrowany przez percepcję autora sposób". Sergei Lebedev's Oblivion was shortlisted for the 2017 Best Translated Book Award and from comments on the Mookse and Gripes forum (https://www.goodreads.com/topic/show/...) perhaps the best received among readers. I started to read this on a flight from London to Korea - an 11 hour flight, a large part of which is spent flying over the vast area of Siberia, home of the gulags and labour camps in Soviet Russia. Lebedev's moving debut novel tackles th Sergei Lebedev's Oblivion was shortlisted for the 2017 Best Translated Book Award and from comments on the Mookse and Gripes forum (https://www.goodreads.com/topic/show/...) perhaps the best received among readers. It wasn’t that he kept himself aloof, taciturn, it wasn’t about his behaviour or character; he was alienated from life almost in the legal sense of the word and only as a consequence of that was he alienated from people as well. Everything that happened in the present did not involve him directly but only brushed against him—not because he was unreceptive but because he seemed to have already lived his life, his existence outlasting his destiny. But the man - who the boy knows as Grandfather II - though not a blood relation, becomes closely involved in the boy's life, beginning when his mother is pregnant with him but is advised by the doctors that the pregnancy is dangerous to her health. A debate ensues, involving in-laws on both sides, as to whether to terminate the pregnancy, until Grandfather II intervenes decisively in favour of carrying to term. He said that she should definitely have the baby, medicine was advanced now — and that the doctors were being overly cautious. He listed births in trolley cars, the lamp room of a mine shaft, a cornfield, on a Central Asian steppe near the space center, in a bakery, a dentist’s chair, a bomb shelter. A more attentive listener would have recognized that Grandfather II was inventing these incidents, choosing such images from the life he knew or from newspapers, but he filled and overpopulated the room with these unexpectedly born infants. There's is a relationship with little affection - the boy suggest Grandfather II treats him as a pet, but even that implies too much of a relationship: a domestic animal may be a better description with Grandfather II feeling only responsible for his welfare. At the section's end Grandfather II rescues the boy from a near fatal attack by a wild dog, then, against the advice of the doctors, donates his own blood to save the boy's life at the ultimate expense of his own: the blood loss weakens him, but as the accident coincides with a day of severe political turmoil in the Soviet regime, he is unable to obtain the medical help he needs. The adults tried if not to forget the time about which Grandfather II could have spoken, then at least to make it palatable for their own private memory. They broke it up into small impressions, personal stories - what an ice hill there was by the ravine, now covered up; what nits, all with rotten, wrinkled kernels, they once bought at the market to make jam; what pale, water-diluted ink they used to pour into the inkwells at school, and them the teacher complained she couldn't read anything in their notebooks. That kind of stuff was like keys, wallet, and papers that you could stuff into your pockets when you go out; it was small, domesticated - everyone diligently reinforced the little sport of personal memory, and no one remembered the collective. I saw that a great force of compulsion had erected the town, cleared the forest, laid the roads, dug the canals, and built the factories; but it turned out that compulsion is incapable of one thing: the effort a person brings to work freely chosen. Without that effort, without that bit of spiritual labour that merges with physical labour, all the roads, bridges, cities and factories were held up only by the will of the state that had them built. When that will had vanished, when its time had passed, people were left with a legacy of great construction in which spiritually they were not involved. Many people were deprived of life, of fate, of freedom, in the context of that enormous, all-accompanying evil any lesser evil became invisible; it became possible to live where everything - from the look of the housing to speech - dehumanized instead of humanized; the camp and the housing from former inmates expanded, settled in, and began producing itself without the state's involvement. My passage through these parts, changed by the camps, became my path of return: to Grandfather II and his life and works. In the third part he tries to trace Grandfather II's history, only to find that the town he visits was founded from one of the same labour camps. The town was named for a Bolshevik killed in the mid 1930s; the name of the town communicated nothing of the place to its name. They spoke different languages and avoided each other. The area's mountains bore names given to them by local ethnic groups; these names left the sensation of raw meat and gnawed bones in your throat; reading a dozen names on the map was like drinking thick blood tat was steaming in the cold; the names were redolent of campfire smoke, fish scales, rawhide, canine and human sweat, they were long and the syllables joined up like reindeer or dogs in harness. The town name - two syllables, with an sk ending - gave away its alienness, the Bolshevik's name looked good on a big map of the country where the names of his comrades formed a toponymic constellation, a lifetime and posthumous pantheon, but up close the name seemed ridiculous, a random collection of letters which the residents got used to and considered themselves dwellers of Abracadab-sk. I still had to go to the river and find the exiles island - I had to travel the entire trajectory of Grandfather II's fate; I felt that there, in that book that even he did not know fully, was a limit; I called it the limit of oblivion. However, this can actually be a weakness of the novel - the prose was laid on a little too lyrically thick - it wasn't the "stout-bodied passerines" of 10:04 (https://www.goodreads.com/review/show...), perhaps closer to Andrei Makine, but at times the novel felt like wading through, admittedly very sweet and tasty, syrup. It's probably just me, but while I think the subject matter is incredible, the constant bombardment of metaphors and similes really kept me from enjoying this novel. it made it hard to mentally catch my breath while moving from one image to the next with little room between. Couldn't even finish it. I liked and did not like this novel at the same time,thus the mixed review. On one hand,it was an interesting story and mystery of a man searching the truth about a person from his past. On the other hand ,the prose was overly drawn out and hard to read. In short,a little too artsy for my taste. VERDICT: Powerful, intense, and poetic evocation of Soviet prison camps. Reading like a detective story, it will haunt the reader and help him escape oblivion. Unforgettable. Lots of layers and tangents. Almost too poetic in places, but the descent into past is documented beautifully. I'm fascinated with gulags and the collective amnesia which has struck Russians over this part of their history. sergei lebedev's oblivion (predel zabvenya) is his first novel (and the first of his books to be translated into english, with the year of the comet to follow this year). with exquisite prose and ample metaphor, lebedev confronts the legacy of russia's often dark past, melding a poetic style and an emotional abundance. 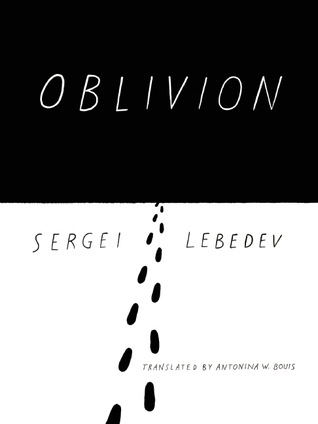 though not a coming-of-age tale in an traditional sense, oblivion follows its young narrator from youth to adulthood, as he tries to make sense of all that's come before – both pe sergei lebedev's oblivion (predel zabvenya) is his first novel (and the first of his books to be translated into english, with the year of the comet to follow this year). with exquisite prose and ample metaphor, lebedev confronts the legacy of russia's often dark past, melding a poetic style and an emotional abundance. though not a coming-of-age tale in an traditional sense, oblivion follows its young narrator from youth to adulthood, as he tries to make sense of all that's come before – both personally and politically. poignant and haunting, lebedev's debut is a gorgeous work of uncompromising fiction. and then you understand that the deathly communion was not accidental. through it, as through newly granted vision, you see your body, your memory, your fate as predestination: the inheritance of blood, the inheritance of memories, the inheritance of other lives—everything wants to speak, seeks to complete itself, to happen to the end, to be recognized and mourned. The imagery in this book was almost overwhelming at points it was written so well. Every sentence was a new scene painted on a fresh canvas that were interwoven into a magnificent collage. The story also is important unto itself for the preservation of a culture and history in a nation that has its secrets. Not a book you find yourself tearing through because you get caught up in the visuals, but rather one you sit back and enjoy for its excellent prose and almost involuntary contemplation. Beautiful writing and translation, but the poetic level made the ending long winded and a little confusing. beautiful, profound... while harsh, it is like an apple tree growing in the tundra. Lebedev begins OBLIVION with a young narrator who seems to be enjoying an idyllic childhood in a wealthy suburban Russian setting. One quickly learns, however, that this is a deceptive metaphor for the political amnesia that is prevalent in Russia. Using a clever plot structure, Lebedev forces the reader to gaze instead upon the unspeakable horrors of Stalinism. The crimes of the Soviet gulags have been willfully expunged by the State from the people’s consciousness. "All the executions, all the Lebedev begins OBLIVION with a young narrator who seems to be enjoying an idyllic childhood in a wealthy suburban Russian setting. One quickly learns, however, that this is a deceptive metaphor for the political amnesia that is prevalent in Russia. Using a clever plot structure, Lebedev forces the reader to gaze instead upon the unspeakable horrors of Stalinism. The crimes of the Soviet gulags have been willfully expunged by the State from the people’s consciousness. "All the executions, all the murders were forgotten, an entire era had settled to the bottom of memory." This then becomes Lebedev’s goal: to rescue this Russian heritage from the oblivion the State has consigned it to. The unnamed narrator tells of a mysterious old man who has adopted his family. He comes to know him as Grandfather II. This elderly man is detached and alienated from the others. Now blind, he “seemed to have already lived his life, his existence outlasting his destiny.” In a strange way, Grandfather II appropriates the narrator, showing no affection, but instead treating the boy as a kind of possession. When a rabid dog attacks the boy, the old man beats the dog to death with his cane and brings the boy to the hospital where the doctors tell him that he needs a transfusion to save his life. The old man gives him the needed transfusion and he, in turn, dies as a result. This becomes the defining metaphor for the novel because from that point, the boy feels he is connected to the old man and in a way has inherited his sins. Thus he feels compelled to learn about Grandfather II’s past. A letter found among the old man’s possessions provides a clue and prompts a quest to find the sender in Siberia. What he finds there ranges from the grim to the absolutely horrific. The grim images consist of devastated forests, abandoned mines, decayed barracks, rusted vehicles and roads being reclaimed by nature. The horrific are human skulls, mass graves, frozen corpses and trucks transporting “bones covered with a red-stained tarp." Through a series of interviews, the narrator discovers that Grandfather II was a ruthless warden at one of the camps and was responsible for much of the carnage that took place there. He eventually comes to terms with his inheritance from the old man when he visits an island where prisoners were exiled to die. There he descends into a sinkhole where he encounters the old man’s victims frozen in the permafrost. This is not an easy book to read because of its dark subject matter. Yet it seems important because of its courage. The novel reads a little like a detective story, but clearly has a larger agenda. The narrative is often lyrical, evoking images of the land and its people. However, it seems marred by over-writing. Using long sentences with multiple clauses, Lebedev inserts himself into the narrative with barely relevant observations about language, memories and life in general. The narrative is weakest in these long didactic sections, but more powerful when the narrator describes what he sees and relates the interactions he has with the people he meets. History told as nightmare. Has a little passing similarity to Heart of Darkness, but Conrad's Marlowe could remain detached from the foreigners he observed while Lebedev's anonymous narrator can never really escape what he discovers. Finished this book as conflicted about it, and for the same reasons, as many of the earlier reviewers. A young Russian undertakes a personal journey, literally and into the past. The journey becomes an archeological study of: Soviet prison camps in the remote north; t History told as nightmare. Has a little passing similarity to Heart of Darkness, but Conrad's Marlowe could remain detached from the foreigners he observed while Lebedev's anonymous narrator can never really escape what he discovers. A young Russian undertakes a personal journey, literally and into the past. The journey becomes an archeological study of: Soviet prison camps in the remote north; the brutal and ultimately pointless madness of the 20th-century Communist oppression; the narrator's own partial inheritance of exiles and murders. Much of the story seems imagined but parts have a documentary feel and may reflect observations made during the author's several years working on geological expeditions. The exploration and the coming to an understanding of the blank horror of the past, a past still tainting the present, is compelling. But the book reads like poetry set in novel form. Sometimes the verbal flights engage and clarify, sometimes they confuse and seem irrelevant, drifting at times into long digressions. The endless flow ends up being counterproductive. Many of the swooping images and shorter turns of phrase present themselves as passing thoughts rather than as deliberately chosen elements of the longer story. The arbitrary and highly personal nature of much of the writing thus seems ephemeral, while the story itself is embedded in granite. An extraordinary debut novel by a writer who surely will be worth to watch out for in the future. This is a hellishly bleak book about the gruesome Soviet prison camp system, but at the same time written with a most powerful lyrical beauty; much of the imagery is extremely powerful and haunting. Many of the harrowing parts that OBLIVION contains will last with me for a long time. Read this, everybody. Lebedev is by far one of the most interesting European authors to emerge in the 2010s. Un libro che porta al gelo sia per i luoghi che esplora sia per le emozioni che suscita. Un uomo che va alla ricerca di un passato lontano, non suo, ma che lo attraversa a causa di un legame affettivo. Le ultime 50 pagine si leggono tutte d'un fiato per la voglia di vedere come va a finire. Un consiglio: bisogna rileggere il primo capitolo dopo aver finito il libro. I somehow made it to the halfway point, but I could see little reason to push further. I get that this book is supposed to be allegorical, but this book was mostly a trudge for me. There were a few good parts, but they were too few and far between. Did not finish. Violated my 100 page rule. The stream of consciousness writing style was not my favorite either. I received an ARC from New Vessel Press through Edelweiss. Oblivion I have been captivated by the plethora of post-Soviet literature that has been published just in the last year alone. The theme that is the most haunting to me is the one of waste: all of those wasted lives, all of that wasted time, and for what purpose? I remember the attitude towards the Soviets in the 1980’s with the “us”, the free American democracy, versus “them”, the oppressive Soviet totalitarian regime, propaganda. It see I received an ARC from New Vessel Press through Edelweiss. Oblivion I have been captivated by the plethora of post-Soviet literature that has been published just in the last year alone. The theme that is the most haunting to me is the one of waste: all of those wasted lives, all of that wasted time, and for what purpose? I remember the attitude towards the Soviets in the 1980’s with the “us”, the free American democracy, versus “them”, the oppressive Soviet totalitarian regime, propaganda. It seemed that the Soviet Union wanted everyone to believe that, not only was their system the best in the world, but their people were happy and thrived under that system. But recent post-Soviet books, like Oblivion, have proven that this ideal that their leaders put forth could not be further from the truth. When Oblivion opens, the narrator is middle-aged and living in Greece. He is reminiscing about his childhood back in a dacha in the Soviet Union. The one character from his childhood that looms over and dominates every memory he has is a man he calls Grandfather II. He begins with an ominous sentence that states it was Grandfather II who decided his fate and the course of his entire life. Grandfather II was an old, blind man who moved into the dacha and about whom no one asked any questions. There are hints in the text that Grandfather II has a shady past that somehow involved the horrible gulag system. He is adopted by his neighbors, especially the narrator’s family, as a sort of kindly and innocuous grandfather figure, and thus his nickname. But the narrator has a very different view and opinion of this man which is chilling and frightening. There is nothing that Grandfather II specifically does that is cruel to the boy or his family. But Grandfather II has a presence and a demeanor that evokes feelings of fear and dread. The narrator is further haunted by Grandfather II when, as a boy of about nine, he is attacked by a wild dog and Grandfather II comes to his rescue by crushing the dog’s spine. The narrator is brought to the hospital on the brink of death because he has lost so much blood. Grandfather II, despite being an old man, insists that he give his own blood to save the boy’s life. Grandfather II’s heroic act saves the boy but in the end his own life is sacrificed because he was too old and weak to give up his blood. The narrator is haunted for the rest of his like that he has this old man’s blood pulsing through his veins. He decides that he must go on a quest to find out more about his mysterious man’s past and this leads him to a mining town near the Arctic Circle. The mining town is a pathetic waste and shell of a town that was once home to a prison camp where its inhabitants worked in the mine. When the narrator arrives in this northern town the prisoners are long gone, but the remains of the camp are still an eerie reminder of this wretched and miserable part of Soviet history. The narrator confirms that Grandfather II was a founder of this mining town and in charge of the prison camps. The most disturbing part of this this journey, however, is when the narrator realizes what a cruel and inhuman person Grandfather II really was. The saddest part of the narrative, for me, was learning about Grandfather II’s seven year-old son was also subjected to this man’s insistence on dominating and controlling everyone and everything in his life. Finally, I have to say a few words about the densely poetic language that the author uses for his tale. It took me longer than it normally would to read a 300-page book because the sentences were so masterfully created that I oftentimes found myself reading entire sections more than once. There is a dream sequence in the middle of the book during which the narrator has a series of three dreams just before he is about to embark on his journey to the north. This section could almost stand on its own as a poetic and metaphorical reconstruction of the oppression and unjust treatment that so many suffered under this totalitarian regime. Oblivion is a haunting, intense, descriptive literary Odyssey that you will not soon forgot. The language that Lebedev employs and the detailed stories he tells ensures that the experiences of life under Soviet rule will indeed not fade into Oblivion. In what begins in powerful, visceral imagery, I was toward the end completely lost in the dark soil so fervently and obsessively described. Incredibly dense writing on how past actions are never erased by time, but rather stain the world irrevocably. Reading this book was like trudging through a bog in thick darkness; the only thing I remember is the exertion and the stains I carried out of it. Would not recommend this to many, if anyone at all. Wow! Another great Russian writer! This is the story of a small boy befriended by an old man he called Grandfather II and his search as an adult of the mans mysterious past. The real power of the book is not the story, though, but of the writing. The poetry used to describe the people, scenery and actions is incredible. I could never get into it. Too dull and ponderous to finish. This book was featured in the Nota Benes section of the Sept/Oct 2016 issue of World Literature Today Magazine. Sergei Lebedev was born in Moscow and worked for seven years on geological expeditions in northern Russia and Central Asia. Lebedev is a poet, essayist and journalist. Oblivion, his first novel, has been translated into many languages and was named one of the ten best novels of 2016 by The Wall Street Journal. Lebedev’s second novel, Year of the Comet, has also received considerable acclaim.